After all, we don’t just dress windows to make a style statement – it’s also about privacy, controlling the flow of light into a room, and keeping heat in and draughts out. So, where do you start? 1. What ‘look’ are you after? “For many people, choosing between styling windows with either blinds or curtains is a tricky decision. Curtains often provide a more traditional, elegant style in the home, while blinds tend to look more chic and contemporary. If you’re trying to keep the costs down while decorating, blinds often come at a much lower price, especially for larger windows, but the right blind will still add the perfect finishing touch to your room. For some, the soft, flowing finish of curtains will always seal the deal. Curtains also offer the option of creating a ‘layered’ effect, with a sheer net or voile curtain providing privacy and a heavier curtain on top to frame the window and complete the look. In a classical setting, a heavy curtain that cascades and gathers at the floor can add depth and impact – as well as helping trap heat and block out sound and light. 2. Will they be easy to clean? Generally speaking, blinds will be easier – and cheaper – to clean than curtains, depending on the type of fabric used (there may be some curtain fabrics you can wash at home). “While most curtain fabrics will need to be professionally dry-cleaned, the majority of blinds can be cleaned at home (with the exception of Roman blind fabrics, that need to be dry-cleaned),” says interiors expert Lorna McAleer from Style Studio (stylestudio.co.uk). “You can dust most blinds regularly with a soft cloth on both sides to get rid of any dust build up. For venetian blinds, a feather duster is convenient to get in between those awkward slats. 3. Are they suitable for the room? This is mostly a consideration when it comes to bathrooms and kitchens, where there tends to be a lot more moisture in the air, and possibly a faster build-up of grease and grime. “With all the grease and dirt from food preparation, plus high levels of humidity in kitchens from cooking, laundry and washing up, there are lots of easy-to-clean window blind options. Moisture resistant coatings can also be applied to fabric blinds to prevent the growth of mould and mildew,” says McAleer. “To stand up to the humid atmosphere and to fit with specialist doors/windows perfectly, pleated blinds are hard to beat in the kitchen, and can be made to measure in all shapes and sizes. Colour looks great at kitchen windows. For a fresh look, why not match up blinds to existing kitchen accessories? 4. Do they offer enough light versatility? In the bedroom, you might want something that totally blocks out the light when you’re sleeping – if you want a light/pale curtain, there’s always the option of fitting a discreet black-out blind underneath. But consider whether you want something that gives you the option of controlling light too; this is where blinds can come into their own. “Blinds featuring blackout fabrics can be made-to-measure and expertly fitted to ensure there are no gaps of light coming in through the window. 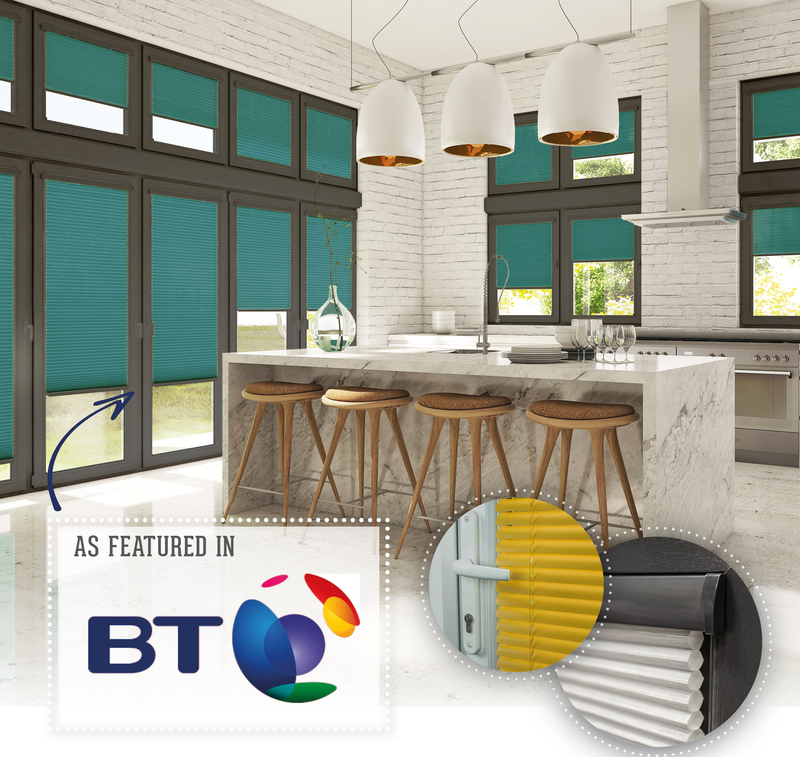 Many blind designs – particularly those with slats, or motorised blinds that allow you to ‘open’ particular sections as desired – give you the option of adjusting light control throughout the day. This might be handy in rooms where you want to remove glare (while watching TV or using a computer, for instance), but still allow some sunlight through, or similarly where you want natural light but a greater degree of privacy than you’d get with net curtains.